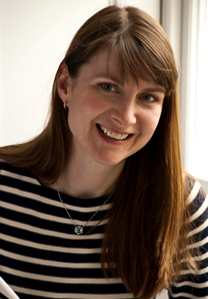 Bestselling novelist and journalist Chris Manby (better known as Chrissie) shares her favourite Paris bar tips with Holiday Goddess. Chris has written 25 books since the publication of Inspiration, a story of frantic bed-hopping in the artists’ community of St Ives, under the pseudonym Stephanie Ash. We figured her bar-hopping tips would be pretty good too. The song may praise ‘Paris in the Spring-time’ but, for me, there’s nothing quite like Paris in the autumn. At last the interminable summer holidays are over and everywhere is open for business again. And what changes the summer has seen. 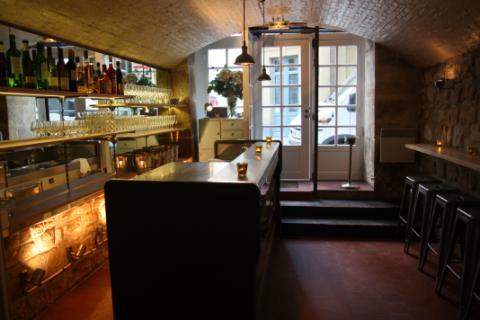 Willi’s Wine Bar, just off the Jardin de Palais Royale, deserves the title of the ‘original’ Parisian wine bar. For more than thirty years, it has livened up the lunchtimes of the good people of the Biblioteque Nationale and the Bourse. This summer it underwent an enormous renovation that has tripled the size of the dining area and enabled the bar to go 7/7. The charming owner Mark Williamson has made excellent use of the beautifully light and airy extra space to display Willi’s famous collection of wine posters. Thankfully, the friendly atmosphere remains unchanged. As does la terrine de chocolat amer ancestrale du Willi’s ,which is, sans doute, the very best chocolate dessert in the world. Willi’s is the perfect place to relax after a day at the nearby Louvre. At 15E90 for a delicious lamb tagine and glass of wine at the bar, you can’t go wrong. Willi’s also caters very well for vegetarians, which is not something that can be said for most places in Paris. Oh, and I suppose I should mention the wine! The wine list at Willi’s is an oenophile’s delight, particularly if you’re fond of the Rhone Valley. And now you can pop in for a take-away bottle too. Just behind Willi’s is Verjus, a newcomer from Laura Adrian and Braden Perkins, the young Americans behind the Hidden Supper club. Verjus is small but perfectly formed. The cosy cellar bar downstairs is always rammed with hip young things drinking an excellent range of wines and nibbling on an ever-changing menu of fascinating bar snacks like pan-roasted clams and crispy pork belly. Upstairs is a more formal restaurant where the nine course tasting menu will set you back 60E. Well worth it for such delights as a Guanaja chocolate ganache with salted peanut butter mousse, baked grapes and whipped cream. Mmmmm. Chocolate. Sensing a theme here? On the other side of the river on the busy Rue De Seine, Semilla is the latest project from Juan Sanchez and Drew Harre, the people who brought you the legendary Fish. You’ll have to look hard to find it the first time you visit. The signage is private member’s club subtle, as befits the achingly cool crowd inside. The food is served tapas-style (semilla is Spanish for seed). The menu changes daily but if the shitake mushrooms are on when you’re there, make sure you don’t miss them. A spot on the ‘chef’s table’ right in front of the busy open-kitchen is a highlight of any girls’ only weekend. 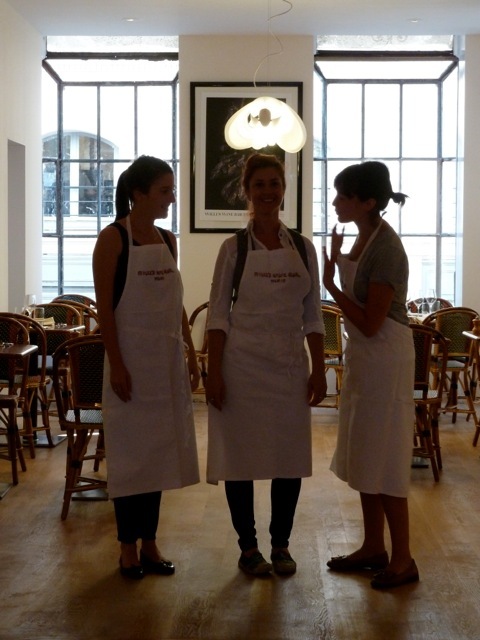 You have never seen so many gorgeous cooks in one place. You’ll be drooling over more than the food. If you’re coming into Paris from London on the Eurostar, Hayden Clout and Matt Ong’s Albion near Poissonniere is perfectly placed for your first lunch or last supper. I have a curious penchant for eating in the shop and Albion fits that bill with the front of the restaurant set up like a wine emporium. The wooden floors and quirky art lend the space a trendy NYC or London feel. The service is fast and friendly. The menu is reasonably priced and invariably delicious. Last time I was there I had the duck, which was perfectly cooked. It melted in my mouth. Wine lovers will be delighted by the extensive choice of bottles. If I could only eat at one restaurant for the rest of my life it might well be I’Golosi, an Italian restaurant in the ninth. I know. There’s so much great French food to be had, why bother with anything else? But sometimes you’ve just got to have pasta. The menu at I’Golosi uses seasonal ingredients and changes weekly. You’ll find dishes from all over Italy. One of my favourites is Venetian-style sardines. There are usually four or five interesting pasta choices, including something for sea-food lovers or vegetarians. The incomparable tiramisu, however, is always on offer. The portions are enormous but whatever you do, don’t offer to share. You’ll finish it on your own, I promise. If you’re coming to Paris with the one you love, forget the Michelin-starred opulence of the Georges V. A table in the back of the shop here – I Golosi doubles as a deli by day – is, in my opinion, the most romantic spot in Paris. I only hope I can still get a reservation. Semilla, 54 rue de Seine, 6th. Phone 01-43-54-34-50 .